( December 7, 2013, Sydney, Sri Lanka Guardian) Nelson Mandela is no more, but his legacy would hopefully inspire people, particularly the young, for some generations to come all over the world, including Sri Lanka. Some years back, I was delighted to see the translation of his “A Long March to Freedom” into Sinhala and I am not sure who did that admirable task. I am also not sure whether it is also available in Tamil or not. Whatever the situation, the story of his life, his determination to struggle for justice, his vision for a reconciled society or nation, and most importantly, his exceptional human quality to be magnanimous and forgive are crucially important historical lessons for all communities in Sri Lanka in achieving a better future for their progeny. In a sense, South Africa’s conflict was much more complicated than Sri Lanka’s one. It was mainly a racial conflict between the indigenous ‘blacks’ and the migrant ‘whites,’ underpinned by vast economic and class differences. Racial prejudices are naturally much deeper and difficult to reconcile, although equally superficial. There are no racial differences between the Sinhalese, the Tamils and the Muslims and they all come, more or less, from the same ‘racial’ stock, if you want to say so. The economic differences are much less except in the case of the plantation Tamils. In South Africa, it was a direct subjugation of a vast majority by a small minority which had to be maintained through a ruthless state apparatus of oppression which itself had a special name called Apartheid. It literally meant ‘segregation’ but politically meant ‘racism’ and something more. This is not to undermine the feelings of discrimination by minorities in Sri Lanka often equated to ‘Apartheid,’ but to get a correct comparative picture of the two situations. Perhaps Sri Lanka is much more complicated at least in one major aspect with majority sanctions for discrimination, naturally difficult to unravel. Then South Africa also had to face the same risk of majority oppression of minorities – like in Sri Lanka, one could say - when turning a minority rule to majority control in 1994. However, this could be avoided primarily thanks to Nelson Mandela and his visionary leadership, in avoiding a post-Apartheid conflict between the majority blacks and the minority whites. His vision was for a rainbow nation. The ‘rainbow nation’ did not mean only two colours, black and white. Even under Apartheid, people were rather artificially classified into ‘white,’ ‘black,’ ‘coloured’ and ‘Indian.’ These classifications stayed even after Apartheid. There were other groups different in culture, lineage or religion, or so they believed. There were different ‘tribes’ among the blacks and they were legitimate as ethnicities. Then among the whites, there were Afrikaner and English people and several others. They all were part of the rainbow nation of Mandela. In South Africa, the ‘homeland’ concept was different to Sri Lanka. It was part of Apartheid to segregate the blacks from the whites and push them into enclaves what they called ‘Bantustans.’ The fall of Apartheid was largely due to the failure of this segregation policy. In the process of integration and development of the economy, the industries and the service sector enlarged and the economy could not be run without the black labour or the black middle classes for the enlarging service sector. The impracticability of Apartheid or the ‘homelands’ were increasingly realised. By mid 1980s, South Africa became the leading economy in the African continent. In South Africa, Apartheid was a legacy of colonialism and racism. In terms of racism, it was perhaps second only to Hitler’s Germany. In Sri Lanka, there was no such an extreme form of discrimination and oppression even under colonialism. In ancient and medieval Sri Lanka, all communities used to live in (‘relative,’ if you wish to qualify) peace and harmony at the people’s level and the political struggles were for the kingship, nevertheless mediated by pragmatic accommodation in most of the time. Religious freedom was respected almost at all times in the pre-colonial Sri Lanka. 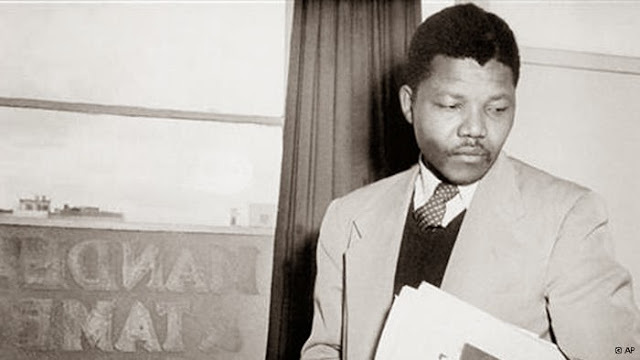 South Africa lacked such prominent past precedence of social or ethnic harmony; nevertheless Mandela managed to invent one based on his humanist ideology shared by many of his colleagues in the African National Congress (ANC) and outside. The respect he earned not only being the longest political prisoner for 27 years, but also the most conscientious one throughout the world, facilitated him to correct any deviation emerging within his own political party or outside during the transition to democracy. Violence first emerged during the first democratic elections in 1994 but soon subsided through his timely and prudent intervention. This does not mean that the new South Africa that he created was completely free from any violence or mistakes. That was beyond any human being’s possible capacity. But he managed to prevent the so far oppressed majority taking revenge against the minority for the atrocities that they had to undergo for long years under Apartheid. He said “people are undoubtedly at fault, but the systems are more at fault than the people. We all are victims of systems.” He appreciated F. W. de Klerk’s goodwill, and if not for that goodwill or pragmatism Mandela realised that freedom in South Africa could have been long delayed perhaps even after his death. Mandela had a deep sense of justice not as ‘revenge’ but as ‘correcting the wrong’ and ‘empowering the victims’ through truth and appropriate compensation. Bishop Desmond Tutu was his close ‘comrade-in-arms’ in this venture inventing the device of ‘truth and reconciliation’ as a process, and not just a formal investigating commission. Mandela was firmly committed to due process and rule of law and stood for justice even if his own wife or family were involved in any wrong doing. The fall of Apartheid was facilitated by both internal and external factors, but the internal factors or processes took the more prominent lead for a healthy transition from an oppressive scheme to a vibrant democratic system. That was also the wish and vision of Nelson Mandela. Among the external factors was ‘Perestroika’ under Michael Gorbachev and as a result the Western views on the ANC started to change. The ANC and Mandela were mistakenly considered communist threats previously. There were of course the sanctions against South Africa initiated by the UN and all these started to influence the internal situation, including the independence of Namibia prior to South Africa. As a personal note, I was fortunate to serve the World University Service (WUS) in Geneva during this period (1984-1991) which was the foremost organization which offered scholarships to the victimised South Africans and Namibians to continue their studies in third countries. There were 14 Namibian students studying under this scheme in Sri Lanka in mid 1980s as English teacher trainees and as the person in charge of human rights of WUS I had the personal opportunity to speak against Apartheid at the UN Human Rights Commission on several occasions. The release of Mandela was one of our calls. The South African transition or reconciliation was primarily an internal process and as a result it was healthy and sustainable. This is the primary lesson that Sri Lanka should learn. It was a learning process to the people to do away with prejudices, animosity and hatred. Almost all the peace mediators were internal. More than the mediators, the leaders of both or all sides took the initiative to negotiate and compromise. Nelson Mandela was the epitome of this process. This does not mean that Sri Lanka or any other country should not take any external assistance if need be. But internal efforts are always better, more acceptable and most certainly sustainable compared to the external. That is also the right thing to do, while seeking the goodwill of all possible external actors. As a result of this transition and reconciliation process, South Africa today has an exemplary democratic constitution with extensive devolution of power; a system of rule of law, crowned by an independent judiciary; and a system of human rights which gives equal priority to economic, social and cultural rights in addition to (traditionally emphasised) civil and political rights. All these are by and large the visions of Nelson Mandela and his associates. South Africa is now largely a reconciled society although some have opted to leave the country. It is natural to expect, but no one has been pressured or persecuted to do so. There have also been some setbacks in the economy and the polity due to the opening up of opportunities to and participation by the people in large numbers. These are natural to expect and no country can achieve perfection. The loss of Nelson Mandela undoubtedly will be a loss to the emerging country. There are five summary lessons that perhaps Sri Lanka should try to emulate. • After a transition, and in this case, the end of the war in Sri Lanka, reconciliation should take priority. Economy is undoubtedly a supportive factor for reconciliation but not a primary mover. • Reconciliation is foremost a political matter for the leaders to resolve and for the people to support. It is best that the leaders of all sides should take the lead without ‘waiting for Godot’ from outside, the primary responsibility however being on the part of the leaders of the majority community, as Nelson Mandela himself personified. • Talk directly, as Nelson Mandela did with F. W. de Klerk without neglecting all the stake holders or their leaders. • Justice is primary. Justice however does not mean revenge, but correcting the wrongs and empowering all the victims through truth and appropriate compensation. • Never resort to violence or coercion, never again. This is the primary lesson of Nelson Mandela.